but sometimes he imagined all the other things he would like to be. sometimes he imagined he was a kindly keeper at a Zoo. to arrest criminals, be heroic and it was all too much for him he knew. he felt awkward, shy and hardly knew how to make amends. it was useful to be able to write all about his imaginary sights. and these he would most happily write about. at school he would read them as his imagination would not fail. at assembly many would gather to hear all that he knew. 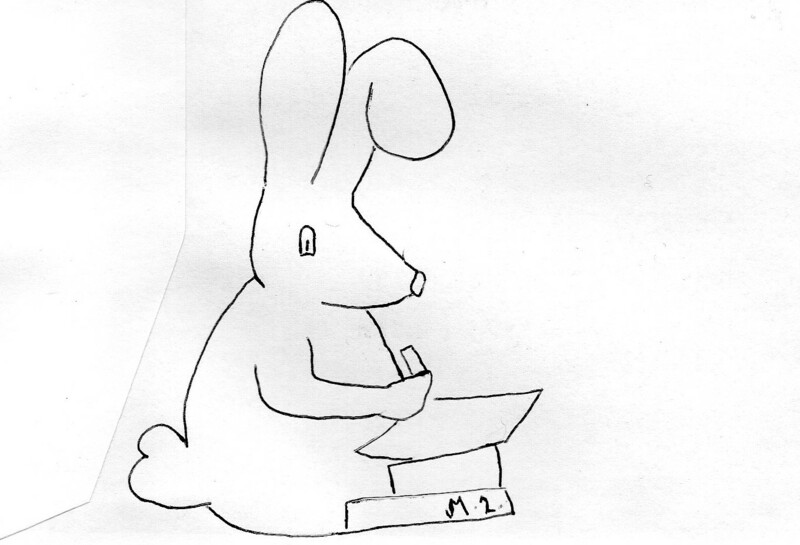 When Bunny learnt to write, he no longer felt that his ideas he had to hide. that was when with his friends he could share all his imaginary sight.